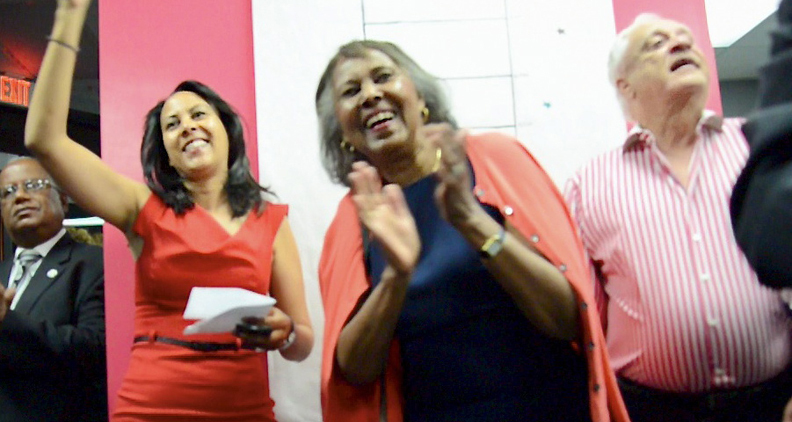 It will be a four month wait before Autumn Burke, daughter of first woman Black Congressional member Yvonne B. Burke, can become the first female to be elected the 62nd Assembly seat. Autumn, a Democrat, the youngest daughter of Yvonne and Bill Burke, won the June 3 primary with 37 percent of the vote and will face a November 4 runoff against Republican challenger Ted J. Grose who finished second with 23 percent of the vote. If she wins in November she will become the first female member of the assembly from the 62nd District. “It’s time for a woman to have this seat, it’s time for a woman to represent women’s rights in Sacramento,” Burke said. Flanked by her mother and father at her campaign headquarters in Inglewood, she said that she feels good about her chances. Termed out Assembly member Steve Bradford was encouraged by the results and endorsed Burke in her campaign. “I’m excited, the early numbers are very encouraging because her opponent is a Republican and this a heavy Democratic district,” said Bradford. “I think it sets up a good November for us. Bradford says that he supported Burke because she was clearly the best candidate. In the hotly contested 64th Assembly District, a seat vacated by termed out member Isadore Hall, Carson City Councilman Mike Gipson held a commanding lead at press-time. Gipson held a 48 percent to 22 percent lead in the vote over Prophet L. Walker and providing he does not win 51 percent of the vote will face the second place challenger in a November 4 runoff. Gipson was first elected into the Carson City Council on March 8, 2005 and Gipson was selected to serve as the Mayor Pro Tem in March 2008. On March 3, 2009, he was re-elected to another 4-year term as a councilmember in a record-breaking number of votes in Carson’s history. In 2013, he broke his 2009 record with his re-election to his third term in office. With a stronger mandate following his reelection, Mike is committed to continuing to demonstrate outstanding leadership and represent the people’s voice in while in office. He hails from a solid background in the areas of politics and public safety, owing to his profession as a Union Representative, his training as lead staff person for various elected offices, and a successful career as a former police officer. 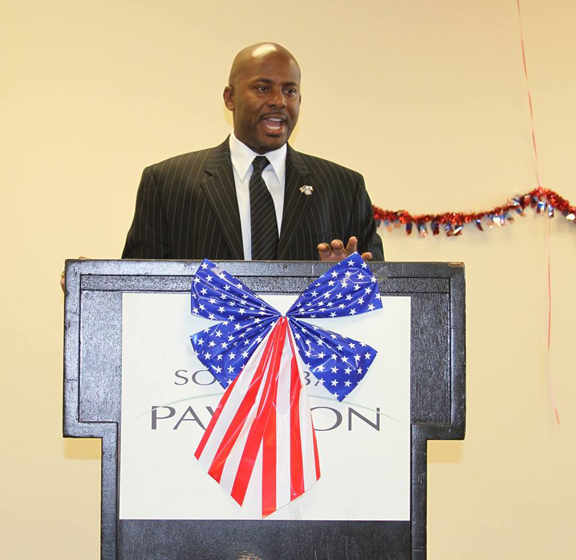 Mike currently serves as district director to Chairman Jerome E. Horton, the first African-American elected to the California State Board of Equalization, and whose district currently serves 8.5 million residents. He formerly served as an Area organizer for the 48,000-strong United Teachers Los Angeles (UTLA), where he ensures the enforcement of the contractual right of teachers. Prior to working for UTLA, he was the Legislative and Political Director for Service Employees International Union (SEIU) Local 399, the Political Director Statewide for Justice for Janitors 1877 SEIU and a Business Representative for SEIU Local 99.